Whether you want to turn your investment hobby into a career, help families plan for retirement and college dreams, work with local entrepreneurs or even a corporation in Japan, St. Ambrose University has a remarkable program to help you achieve your goals. Our graduates work at Deere and Company, Caterpillar, Merrill Lynch, Ameriprise Financial, Inc., and various regional and national corporations. At St. Ambrose, you get immersive financial and business experiences, gain highly-developed analytic skills, and a broad-based liberal arts education. This gives you the winning edge to compete in a fast-paced global environment. It's been a busy year for our Fighting Bees. Here's a look back at all we've accomplished! 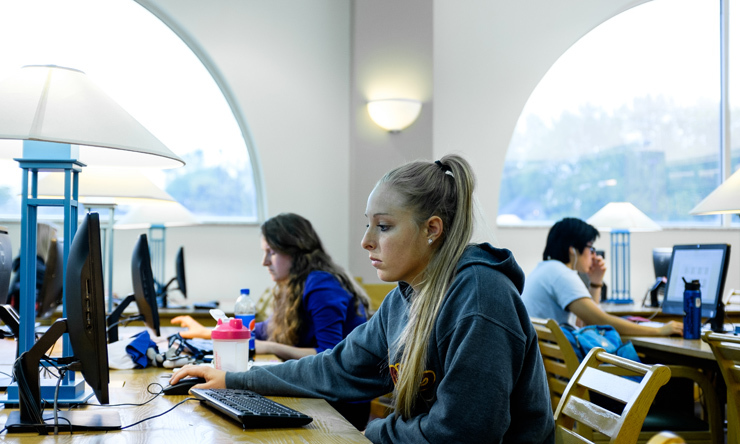 All finance majors take classes in economics, general business, marketing, and management which include core courses such as investing in global markets, corporate finance, and financial institutions. You can choose from a list of electives, including entrepreneurial finance, estate planning, and wealth management. Then, you get to choose a concentration based on your intended career path, and we cater the rest of your education to your specific goals. 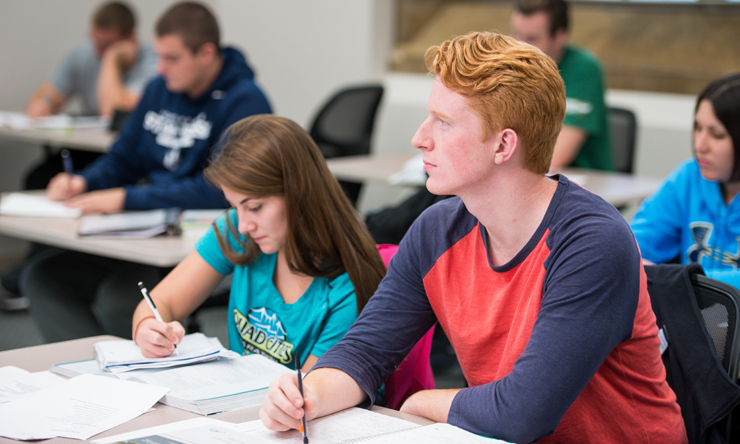 SAU offers courses in the following concentrations: corporate finance, entrepreneurial, financial analyst, financial planning, and financial investment. You also get to complete a capstone project, which allows you to dive even deeper into your intended field. And, we strongly encourage you to complete an internship. You will get hands-on, real experience in business and finance, and have the opportunity to earn credits as you do. Our undergraduate finance program is fully accredited by the ACBSP, and you will learn from some of the best minds in business and finance. 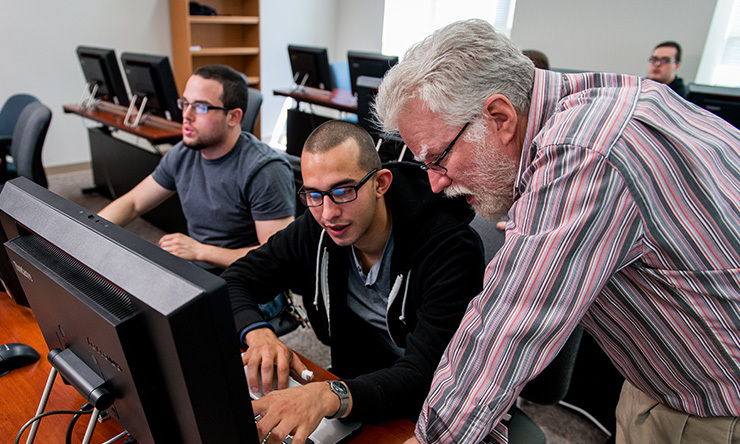 More than 85% of full-time College of Business faculty members have doctoral degrees, and most have professional work experience in the fields they teach. They are noted for their drive to continually educate themselves. As an SAU Finance major, you get an education that is highly relevant today and will help you succeed in the future, too. Finance majors have many career options, including asset manager, financial analyst, financial planner, investment banker, portfolio manager, stockbroker, credit analysts, corporate controller or treasurer, or real estate manager for a financial institution. Graduates can also pursue careers in local, state, and federal government and nonprofit organizations. Many SAU graduates continue their education and pursue higher degrees in economics or finance, and a number have also gone to law school.Our graduates are in high demand. 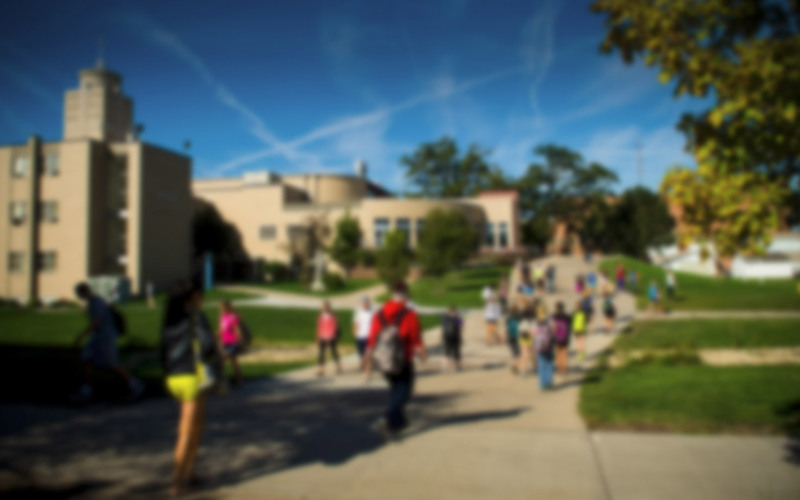 In a recent survey, 97% of SAU College of Business graduates said they were employed full- or part-time, in graduate school, continuing their education, or weren't seeking employment at the time. You also get to complete a capstone project, which allows you to dive even deeper into your intended field. And, we strongly encourage you to complete an internship. You will get hands-on, real experience in business and finance, and have the opportunity to earn credits as you do. Our Career Center will help find the internship that's right for you. John Isit '16 works in Des Moines, Iowa, as a risk advisory services consulting associate at RSM U.S. LLP. Jacob Foecke '12 double-majored in Finance and Accounting and is an accountant for Quality Plus Feeds in Southeast Iowa. How can I build on my education outside the classroom? Take advantage of an internship. It's one of the best ways to get real-world experience, a network of contacts, work samples for your portfolio, and a list of professional references. You can get up to three hours of academic credit, and it's not uncommon for Ambrose interns to be paid for their efforts and contributions. The College of Business has strong relationships with companies and organizations throughout region, which gives you many opportunities. SAU finance majors have served as interns at Arthur J. Gallagher & Co., Boy Scouts of America, First National Bank, Modern Woodmen of America, and Morgan Stanley. Our Career Center will help you find an internship and as you prepare to graduate, they offer job assistance too. You can join the Finance Club. This organization is a community of your student peers and promotes finance/investment related activities, holds seminars, organizes social events, raises funds, invites guest speakers and alumni, and arranges an annual trip to the Chicago Board of Options Exchange. Read what Finance Club members said about the most recent trip to the CBOE. Finance Majors have the option of choosing one of five career streams: Corporate, Entrepreneurial, Financial Analyst, Financial Planning, and Investment. Coupling one of these concentrated areas of study allows the student to learn industry specifics for their intended career path. This is the suggested plan of study to graduate in four years with a degree in Finance. This plan assumes the student has taken three years of foreign language in high school. "Ambrose provided countless opportunities to engage with local and world leaders. Inevitably, these events can help develop professional communication skills that go a long way in interviews and negotiations." Blake currently is a Credit Analyst for the Wintrust Financial Corporation.